For each of the three judging venues, this page contains links to Judging Rubrics (standards) and Judging Forms as PDF documents. 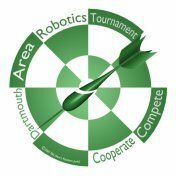 High Tech Kids, which created these forms, breaks Technical Judging into Robot Design and Programming, so both categories are listed. A long primer on tournament scoring is located at: Scoring Primer. This is a description of how the Minnesota State Tournament did its scoring during the Mars Mission Challenge. It could be a good resource to see what we need to figure out our scoring. There is another page for Performance Scoring Spreadsheets.